Cotswold England is not just your typical English countryside characterized by verdant rolling hills, charming farms and fields, and abundant wildlife. 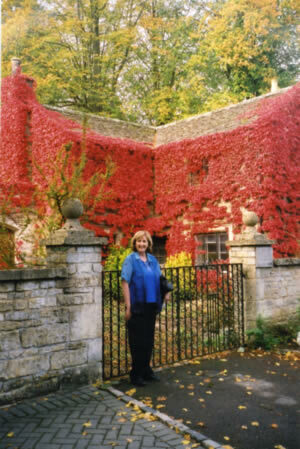 Look further and you will see the numerous options for enjoying memorable adventures in and of the Heart of England. Hidden behind its quaint ancient limestone villages, historic market towns and water meadows are opportunities to enjoy nature on land, on water and on the air. Here are just a few of these adventures to be found in Cotswold England. 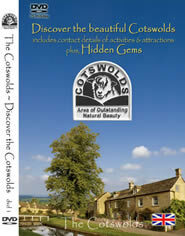 Visitors have long been delighted by the Cotswold Way Walk, which comes in many stages to suit every preference. The choices include Chipping Campden to Broadway, Winchcombe to Cheltenham, and Cold Ashton to Bath, with distances ranging from a pleasurable 6 miles to a challenging 18 miles. Shakespeare’s Way Walk from Stratford-upon-Avon to Bankside, London has opened up, too. Yes, driving by on a motorcycle is easy, fast and convenient but there is nothing like cycling to truly savor the charmed and charming atmosphere of Cotswold England. Along the way, idyllic villages, rolling countryside and great food awaits the intrepid cyclist who chooses to preserve the Cotswold’s beauty. We suggest Moreton-in-Marsh, Cheltenham and Bourton-on-the-Water for cycling adventures. If horseback riding is on the agenda, there are many Cotswold riding schools to choose from as well. We can mention Cotswold Trail Riding Centre, Talland School of Equitation and Durham's Farm Riding School, among others. Lest anybody thinks that the Cotswold is a backward place, think again. Motoring and motor sports are allowed in certain areas of the Cotswold specifically in Cheltenham (Prescott Hill Climb) and Gloucestershire (Whitecliff Off Road Driving Centre). Renting classic and vintage cars for a drive around Cotswold England is also a delightful activity. These cars-for-hire take you back in time when driving through the countryside was a destination in itself instead of hurrying from one place to the next. Bring a picnic lunch! The Cotswolds must also be seen from the air and its beauty will take your breath away so much so that flying again and again will be on your agenda. Gliding and ballooning are just a few options for seeing the Cotswolds from up in the air with facilities scattered across locations like Gloucestershire. Flights are offered every day for the intrepid airborne adventurer. Of course, the Cotswolds is also blessed with plenty of bodies of water. Fish, swim and enjoy other water sports in the likes of the Lemington Lakes, Chad Lakes and the Willows Isis Lakes, among others. Indeed, the Cotswolds England offers so many opportunities for memorable adventures that it deserves its name as the Heart of England. The English, arguably, are the most adventurous people on Earth.